Valiant effort, but Andrei Svechnikov should’ve thought twice about taking this fight. 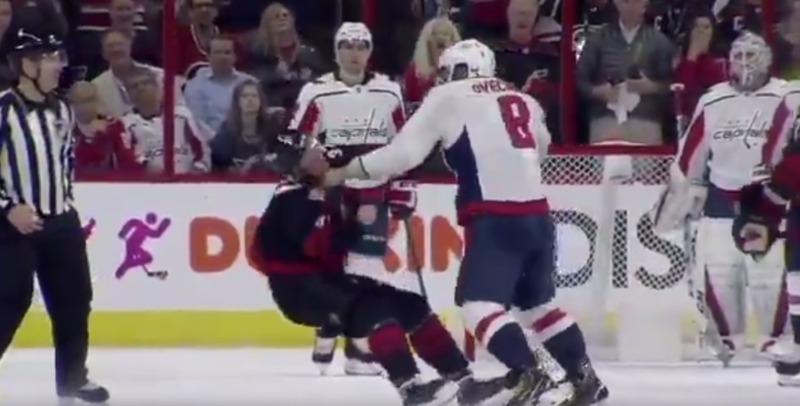 On Monday, the Carolina Hurricanes took on the Washington Washington Capitals when a fight broke out between seasoned vet Alex Ovechkin and Andrea Svechnikov. The 19-year-old rookie wanted the fight, but after a few punches, he would end up on the ice in considerable pain.